Each spring, millions of birds head north. From Ecuador, beautiful Scarlet Tanagers fly to the eastern US and Canada, many traversing the Gulf of Mexico, an arduous journey. Across much of southern Europe, Common Nightingales – small thrushes with russet feathers – are arriving, having traveled northward from Africa across immense deserts. 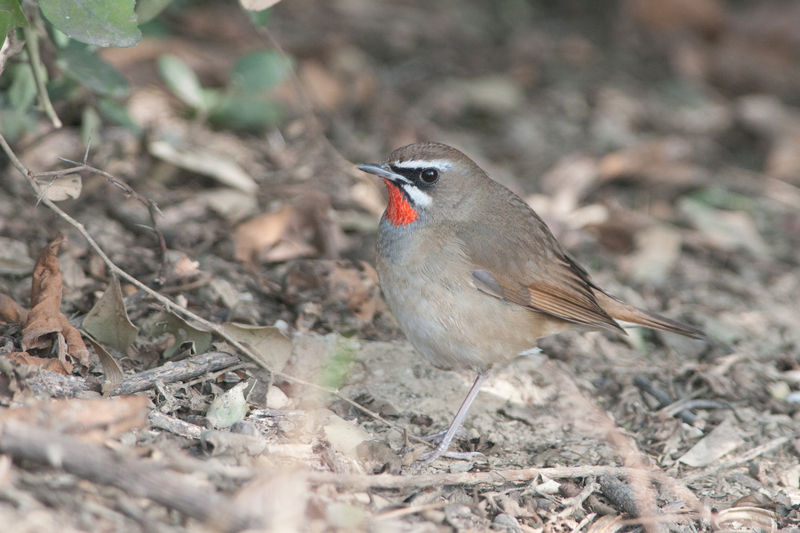 In northern Asia, petite songbirds known as Siberian Rubythroats — like this one — are arriving en masse, some winging their way across the South China Sea from the Philippines, others over the mountains from Thailand. Each spring, millions of birds depart tropical Central and South America for the temperate climate of North America. The same phenomenon occurs simultaneously all across Europe and Asia, as vast numbers of birds head north from Africa, Australia, and southern Asia. From as far south as Ecuador, beautiful Scarlet Tanagers fly north, to nest in the eastern US and Canada, many traversing the Gulf of Mexico on their way. An arduous journey. Across much of southern Europe, Common Nightingales – small thrushes with russet feathers – are arriving. These legendary singers have traveled northward from tropical Africa across immense deserts. In northern Asia, petite songbirds known as Siberian Rubythroats are arriving en masse, some winging their way across the South China Sea from the Philippines, others over the mountains from Thailand. These three examples, a tiny sample from among thousands of migratory species, only hint at the overall grandeur of worldwide avian migration. One of the most fundamental processes in all of nature. Get a good look at these three birds — and all we feature on BirdNote — when you come to our website, BirdNote.org. I’m Mary McCann. Bird sounds provided by The Macaulay Library of Natural Sounds at the Cornell Lab of Ornithology, Ithaca, New York. 113516 recorded by Curtis A. Marantz, 86190 and 71470 recorded by Arnoud B. van den Berg.